SANTA CLARA, Calif.--(BUSINESS WIRE)--CareCloud, the fastest-growing provider of cloud-based practice management, electronic health records (EHR), and medical billing software and services, today announced a new partnership with Box at the annual Health 2.0 Fall Conference. 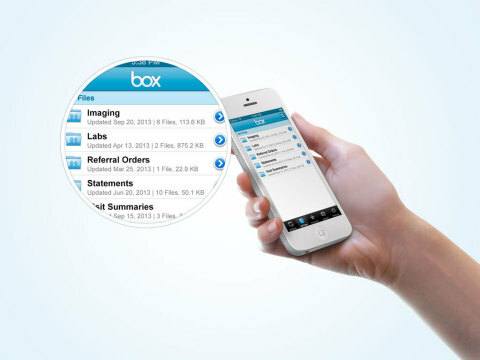 Highlighted in a presentation by Box CEO Aaron Levie, the partnership integrates Box’s secure content-sharing and collaboration capabilities into the CareCloud cloud-based platform, allowing its provider customers to give patients unparalleled access to their personal health information – including personal medical records, labs and test results – in a safe, HIPAA-compliant environment. In July, the Centers for Medicare & Medicaid Services (CMS) released new data that demonstrated how doctors are using EHRs to provide more information securely to patients, and ultimately improve patient care. As patients become more active in their healthcare, providers are finding there is an increasing need for protected, intuitive, cloud-based storage applications to facilitate easy access and sharing of health information. "At Box, our goal in healthcare is to connect disparate parties and enable collaboration by providing a secure cloud-based, collaboration platform,” said Whitney Bouck, Box’s Senior Vice President and General Manager of Enterprise. “The cloud allows for platform agnostic applications to be accessible and deployed wherever the doctor or patient needs access to information. By working with leading innovators in the electronic health record space, like CareCloud, we can help both providers and patients make medical records and documents more portable and accessible." Today, providers using CareCloud’s platform can give patients access to their health records and financial documents through the CareCloud Community patient portal. Moving forward, this functionality will be extended to Box, allowing providers to store, manage and access these documents from a patient’s Box account. 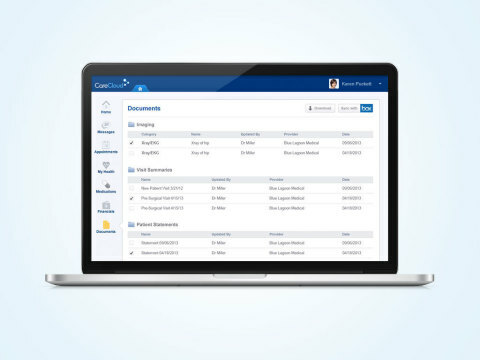 As a pioneer and innovator in cloud-based practice management, EHR, and revenue cycle management for medical groups, CareCloud delivers sleek, easy-to-use software solutions to increase profitability and productivity. CareCloud’s platform powers over 3,500 providers in 47 states, supporting more than five million unique patients. The company’s award-winning platform also encourages greater patient engagement and care coordination, serving as the cornerstone of the company’s vision to be the industry’s single login for healthcare. CareCloud is a leading provider of cloud-based practice management, electronic health record (EHR), and medical billing software and services for medical groups. The company’s products are connecting providers to one another – and to their patients – through a fully integrated digital healthcare ecosystem that can be accessed on any browser or device. CareCloud is helping thousands of physicians to increase collections, streamline operations and improve patient care in over 47 states, and currently manages over $2 billion in annualized accounts receivables on behalf of its revenue cycle management clients. To learn more about CareCloud, please visit www.carecloud.com.